My hubby introduced me to this sauce. He made it once and I found it very delicious with toast bread. Traditionally, this is usually served together with Greek Pita Bread and it is also great as a sauce for lamb or fish. 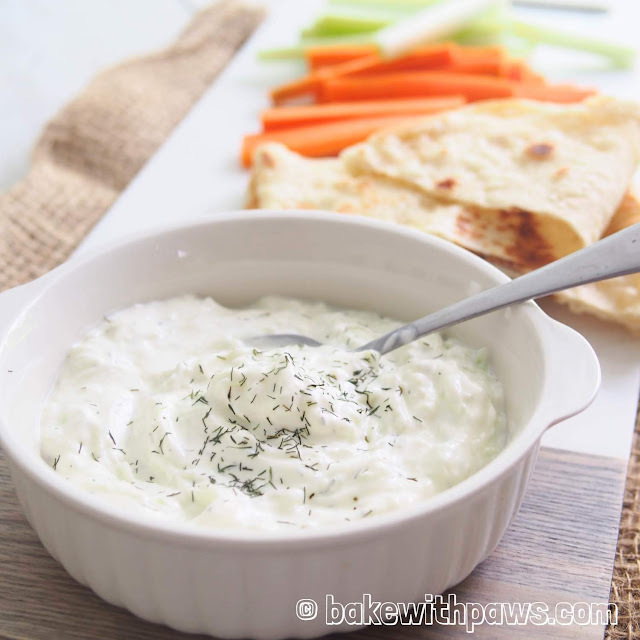 We had some left-over of Greek yogurt that was just perfect to be made into this yummy Greek Tzatziki Sauce. I also made some Greek Pita Bread to go with it. My hubby was pleased and happy to have this to snacks on. You may get the Greek Pita Bread recipe that I made from here. 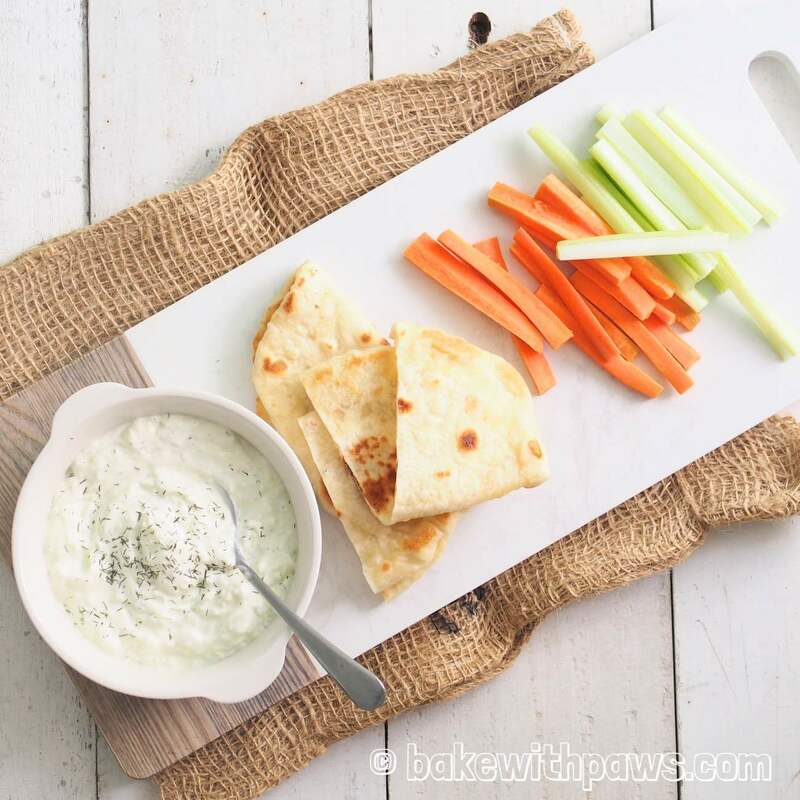 The original recipe of Greek Tzatziki Sauce is adapted from Akis Petretziki with some modifications. 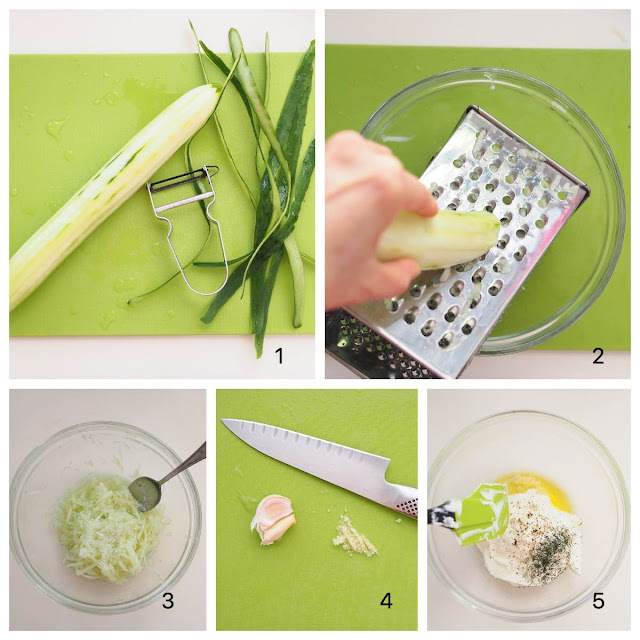 The original recipe used fresh dill. But, it is very hard to get fresh dill here in Malaysia so I substitute with dried dill. Please click here for Greek Pita Bread recipe. Peel and grate the cucumber with a cheese grater. Put them in a bowl and add salt and white vinegar. Cover with cling film and let it sit for 15 to 20 minutes to draw water out. 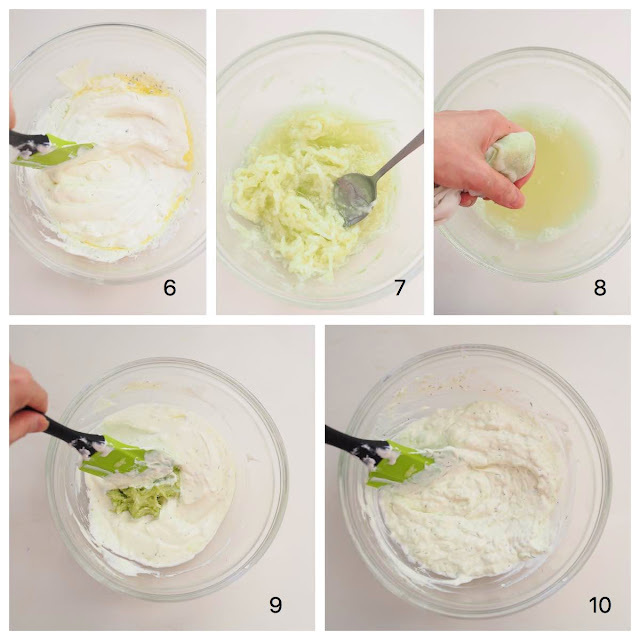 While waiting for the cucumber, combine the yogurt, minced garlic, lemon juice, olive oil and dried dill in a bowl. Mix until well combined. Squeeze the cucumber with a clean cloth to discard the liquid. Stir in the cucumbers to the yogurt mixture. Add pepper and salt to taste. Cover and chill in refrigerator for at an hour before serving to let the taste develop. Store in the refrigerator for up to 5 days. Serve with Greek pita bread.